These Brazilian Soapstone Semi-pressure Cookers are quite amazing. They don't actually reach high levels of pressure, but simply slightly elevate the pressure. Their slow and even heat maintain the elevated pressure allowing food to cook a bit faster. The lid does not lock and it can actually be opened at any time. 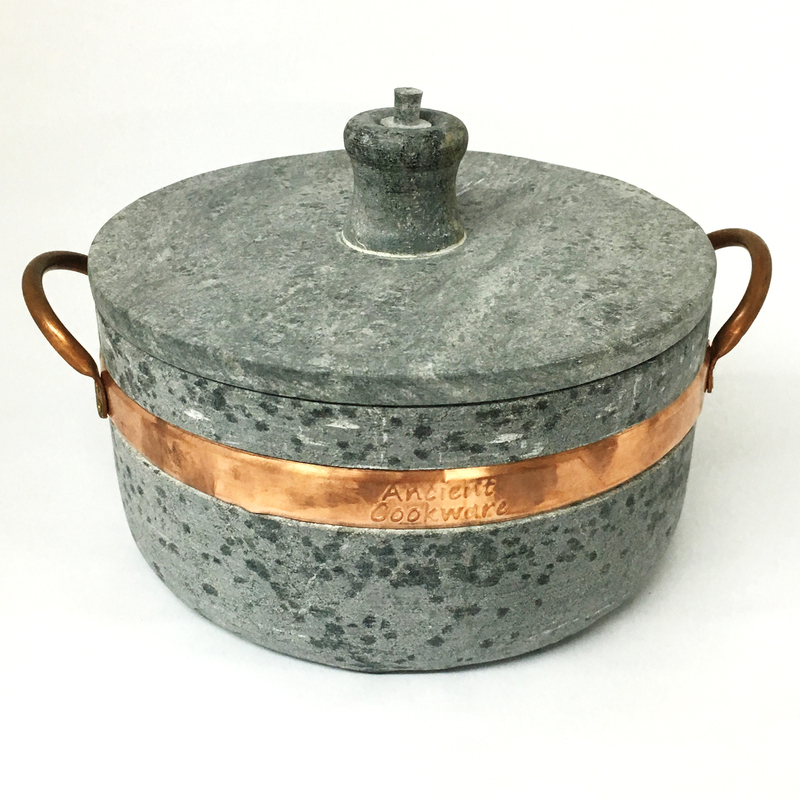 The weight of the lid is what keeps it down, and a small opening on the knob handle releases the excess pressure, causing the small stone weight to "dance" when cooking.The pots are handcrafted from a single block of natural, non-toxic Brazilian soapstone and its thick and dense walls lets them maintain an even cooking temperature. This one is has a capacity of 3 qt, and is 12 inches long from handle to handle, 9.63 inches wide, and 7.13 high including the lid knob, and are perfect for making beans.